• Exclusive, private rental of our restaurant is available for up to 134 guests. • Semi-private Dining Parties are available in both our Wine Cellar for up to 25 guests or on our Mezzanine level for up to 42. Seldom can you take a few steps in the South and find yourself completely transported to another continent. Yet, this is the experience of La Grotta. Take one step inside the door and you’re suddenly in Northern Italy. Smell the roasted garlic and savor the rich flavors of innovative Italian cuisine paired with one of the fine wines that earned La Grotta the Wine Spectator Award of Excellence. 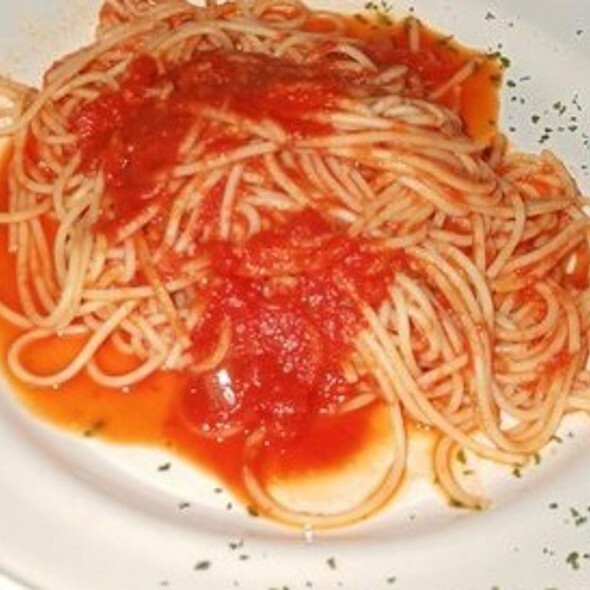 Whether it’s a quiet romantic anniversary or a business meeting, La Grotta isn’t just dinner. It’s a destination. Exclusive private rentals can be arranged for up to 137 guests. We also offer 2 private rooms that can hold up to 37 people each or can be combined to hold a larger party. 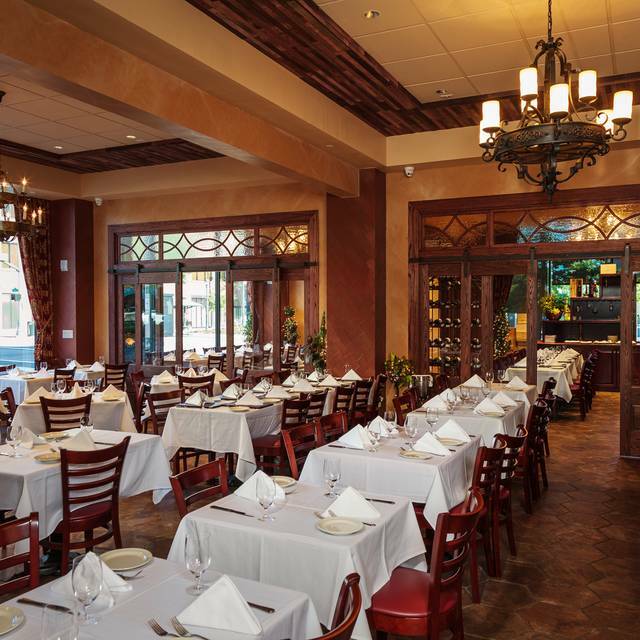 From Corporate meetings to Bridal Showers or Rehearsal Dinners, La Grotta will make your event special! As always everything was wonderful. Our out of town friends (from Denver) thought it was great, too. Mostly good however due to parking challenges I am not sure how soon I will go back. Parked in lot across 4th street and parking kiosk did not record my card after two tries. After anticipating a $14 fee for two hours I made the wrong assumption my fee was paid. When I returned I had a $22 parking ticket. Adds to a pricey meal. La Grotta was a splendid place to meet up with family. 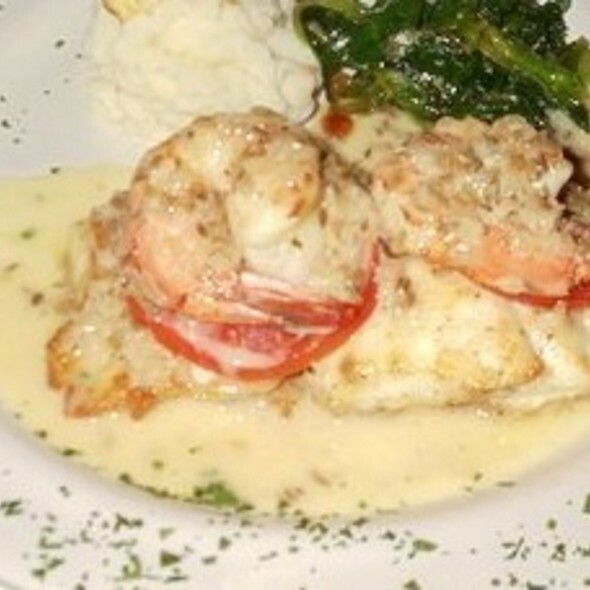 The food was fresh and tasty, and the service excellent. There were not many people there on a Monday night. We liked that we could hear each other talk! Great food, great service, nice atmosphere, definitely go back. The food was delicious, but the service and seating were poor. The restaurant had plenty of open spaces and they put us right on top of a group of college formal kids. Their tables for 4 are also ridiculously small. It felt very crowded and jammed in the restaurant. It was also a Saturday night and they were literally sweeping us out of the door at 9:30pm. Overall experience was not very enjoyable at all! 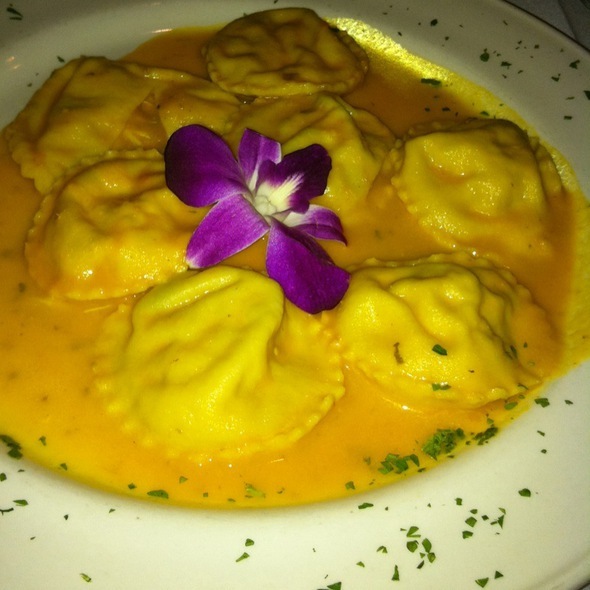 La Grotta has become our favorite restaurant when we visit Richmond. It is always excellent in every way. And one of the ways they make the experience memorable is the staff. My dear wife wanted something a little different for an appetizer. She liked a lunch appetizer, but that wasn't offered for dinner. So our waitress went to speak with the chef. Nope. Can't make that, BUT ... He made my wife a special appetizer of shaved octopus served with a touch of lemon balsamic and EVOO. It was heavenly. What a treat!!! The menu is very creative. The chef has been "The Chef" since day 1. The food is the top. The desserts are excellent. And the wine list is more than adequate. Will we be back? I'm counting the days. Very busy! A little noisy but great food! Service nice. I'm a repeat customer and will be in the future! More than just food, a wonderful dining experience! We ordered the wine paired dinner, and the food was all delicious and the wines chosen for each course was perfect and per our preferences. Courtney was attentive to our service needs. Greet restaurant! Food is good. Definitely worth visiting! Loved this place. The food and service were great! La Grotta is one of the best Italian Restuarants that I've eaten at ever. I eat out a lot entertaining customers and this place is an instant hit. The bread is amazing. The appetizers rock without being too much. The main dishes are amazing especially the spinach stuffed ravioli. The deserts are very rich!! We had 10 people for a business lunch and the staff at La Grotta was amazing. We were able to be in a semi-private area so that we could talk. The food was really good too. We go to La Grotta often. The atmosphere and service are excellent. 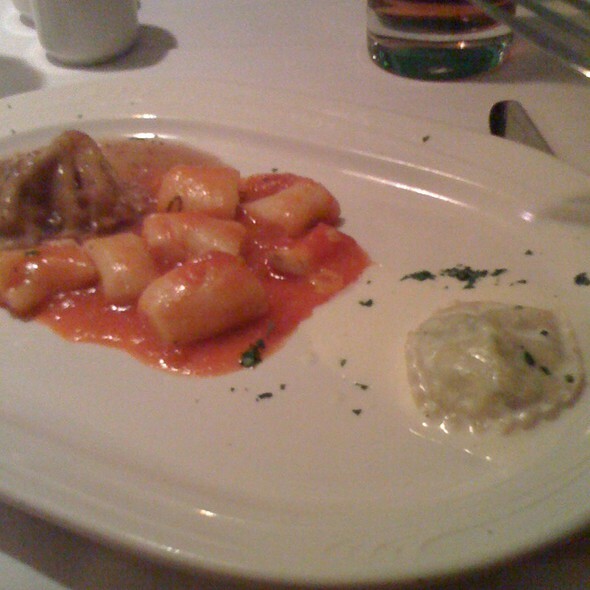 The special ravioli was way over sauced and the sole was buried under cooked vegetables. Excellent wine list, our server was fantastic, the food was delicious. My friend has food allergies and she was easily able to find a meal that she could eat. We usually love going to La Grotta as the food is excellent and the location perfect for attending performances at The Carpenter Theater. However, this past Saturday night, even though we arrived at 6:00 and told the server that the symphony concert we were attending started at 8:00, it wasn't until about 7:15 that our entrees arrived. I practically gulped my duck ragu pasta down which was a shame as it was quite good, I think. We sat for a full 1 hr and 15 minutes before dinner arrived. Many tables came and went and we were still there. We were placed at the table I requested by the window and the server was nice. Don't understand, however, why the service was so slow. Disappointed from the moment we sat down. Server not knowledgeable about wine list. Asked for wine to come out with dinner, and it was brought before we even finished cocktails (and the pours weren’t even 6oz). Then we waited...and waited...and waited for our appetizer...then waited for salads...and waited...and waited...for entrees. Get the picture? Food was sloppily plated. Pasta tasted fresh. Filet mignon wasn’t even pink when it was suppose to be medium rare. The veggies...yuck. Couldn’t bare to send it back given how long we waited for our entrees. Absolutely will not be going back or recommending to others. Many TOO MANY better options for Italian in RVA...including Olive Garden. Enjoyed a pre-symphony dinner at La Grotta. The restaurant was packed, the noise level was cacaphonic, and the service was far-from-prompt. However, the food and drink were certainly worth the wait. Delectable appetizers and perfectly prepared entrees. Will we go again? Of course! Each course better than the one before! Best rockfish I’ve ever had and the coconut cake is a must! Homemade pasta got great praise from the Italians in our group. The atmosphere and service was great. We met the owner and she was very accommodating as well. Food was 10 out of 10. I was given gift certificates for this restaurant by my employer and I'm going to have to thank them profusely for it. I took my sister with me so we could catch up without kids around and we both had an amazing time. The food and the service were both beyond compare (I work at a 5 star, 5 diamond hotel, so that's saying something). 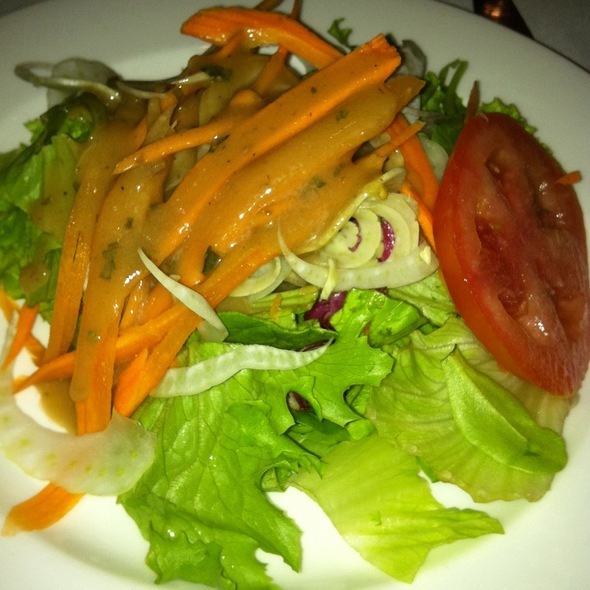 Our server was extremely polite and professional, but also personable and very knowledgeable. Neither of us knew much about the wine selections so we asked him to choose something that paired well with our meals and he made perfect choices. Our meals were cooked to perfection, the calamari appetizer melted in our mouths, the quail was impeccable, and the deserts were to die for (both the mouse and the strawberry crown royal cake). Other reviews had me worried that the closeness of the tables would have us right on top of other diners, but I found that this was hardly the case. The tables were fairly close, but we never felt imposed upon by other parties present and could hardly hear the conversations of others there. All in all, the only thing even close to a complaint I can think of is that our server made everything sound so good we had a difficult time deciding just what to get, esp when it came to the desert. 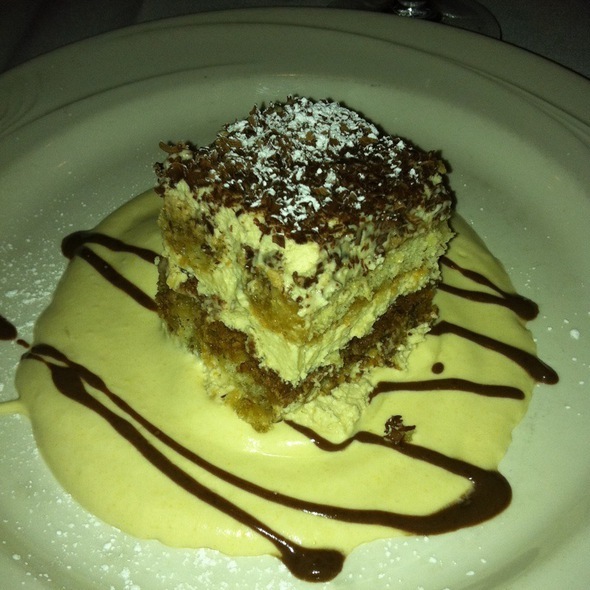 LaGrotta never fails to deliver great service, atmosphere and cuisine. It is a fave of ours. Very good food. Pretty space. Tables were way too close together though. As a result, people at other tables hitting into us. Because no room, waiter dropped a plate on my 87 year old mother’s head and spilled salad with oily dressing all over our sons expensive sport coat and pants and really wasn’t overly concerned. The place was nice, but the meals we had were not well balanced in flavor, with sharp spice or over saltiness. Overall not memorable. The cappuccino was horrendous - like it came from a cheap machine. Great food and atmosphere. Fantastic waiters named Marco and Enzo!! Can’t wait to go back! Nice birthday dinner with family! We had a wonderful dining experience. The whole package was wonderful. 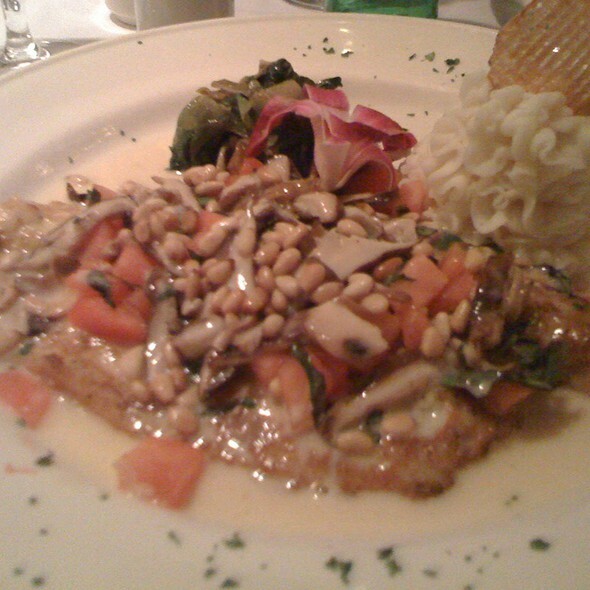 We had a very pleasant dining experience at La Grotta. Atmosphere was excellent wait staff was great and the food was good too. Great to see it at historic building repurposed with a great restaurant. Owned by a husband/wife team, La Gotta is the best Italian Restaurant in the Richmond area hands down, in my opinion. Great ambience with an intimate/romantic feel about it... the food is aways fresh and expertly prepared... great wine list... free valet parking at the Hilton next door. What's not to like! Easily one of the top spots in Richmond. Our waiter Marco Antonio was outstanding ! Each dish was made with love. By far the best place to visit for Italian. La Grotta was a treat. We arrived and were greeted by multiple people trying to make sure we were being helped. The food was wonderful - I had the tower of eggplant and mozzarella as an appetizer and it was fantastic as was the special Rockfish. My husband had the coconut cake for dessert and thought it was amazing. Everyone seemed to really enjoy their food. My only complaint was the waiter - he was pleasant and efficient just not very interactive or friendly. I really cant complain - he did his job well. It is just that I would have liked more personality. Overall this was a wonderful evening. Great Valentine's Dinner experience. Great food, Great service. La Grotta was a fine experience, but when you order a dish where the best item on the plate was a fried potato crisp plunked into mashed potatoes that were overly seasoned, it is safe to say I was not impressed. Overall the waiter seemed nice, but came across a little belittling at times. Personally, I think if you are looking for a "upscale" Italian experience, just save yourself the money and go to Maggiano's in short pump. Tony is the best chef! Always has something great on special. 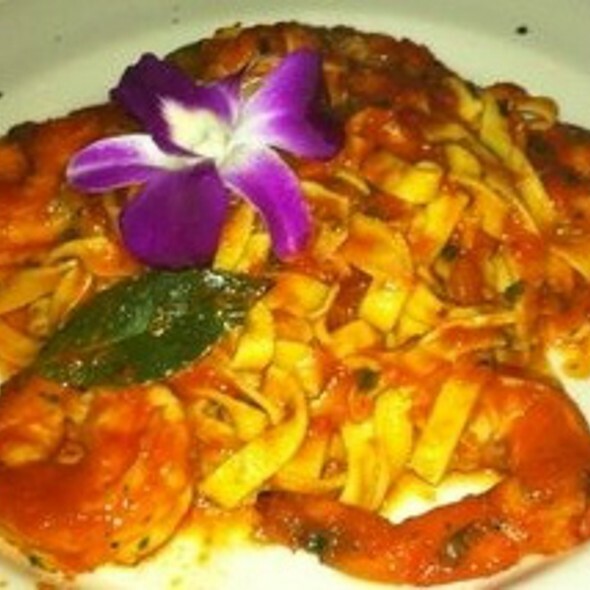 We had the veal chop, rack of lamb and lobster/shrimp pasta and they were all amazing!!! Great wine list to top it off too!